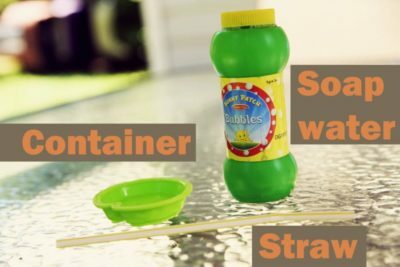 Make Bubbles with a Straw! 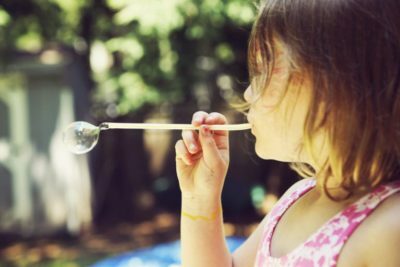 The weather is super nice out so today we decided to make some bubbles outside. 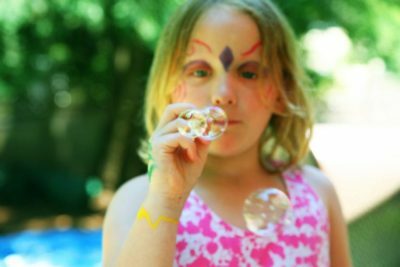 We still had some bubble liquid at home but we couldn’t find the bubble wand so we simply used a straw and got amazing results! A lot of cute little bubbles shot out of the straw and with some patience we could even control the size by how fast we blew trough the straw. If you don’t have bubble liquid at home try mixing your own. Use liquid dish washing detergent. 1 part detergent and 15 parts water. I read that mixing it with corn syrup will help but you’ll have to decide what you like better. cool idea!! !when i was young bibble games were my favourites!i love it!